Just last month I returned from a weeklong trip to Scotland to visit family. I also took the opportunity to visit the new V&A Museum in Dundee—the first design museum in Scotland! I had first read about the September opening in Galerie magazine. The museum opened to great fanfare and long lines waiting to enter. I was excited to be one of the very first visitors!! The museum was well worth the trip and will undoubtedly prove to be a huge hit. 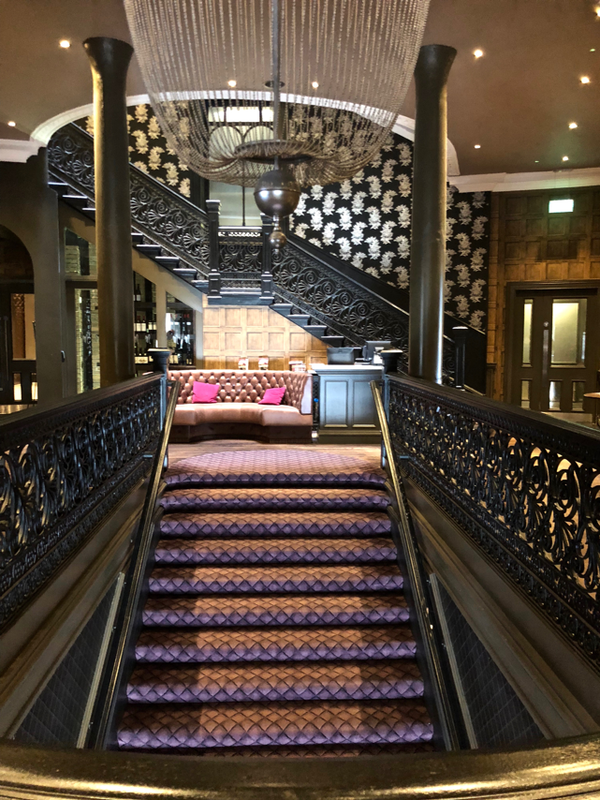 What I wasn’t expecting however was the special design experience at the Malmaison hotel. 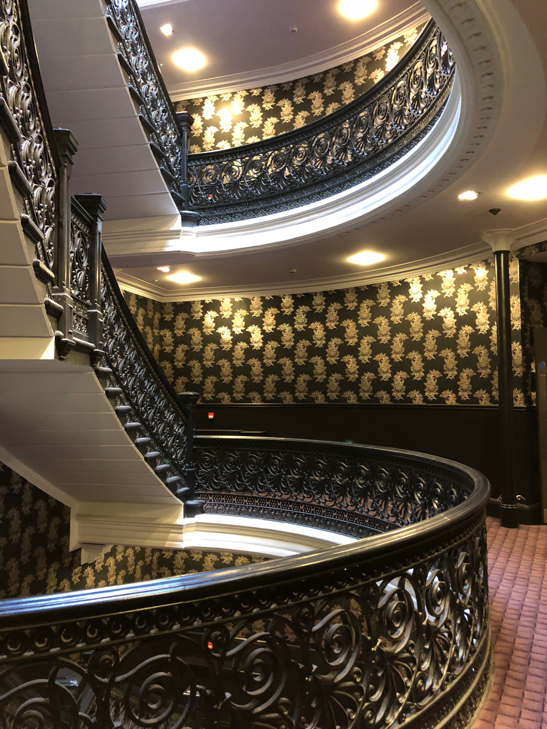 I fell in love with the design and history of this stylish building, which the hotel staff was generous enough to share with me. 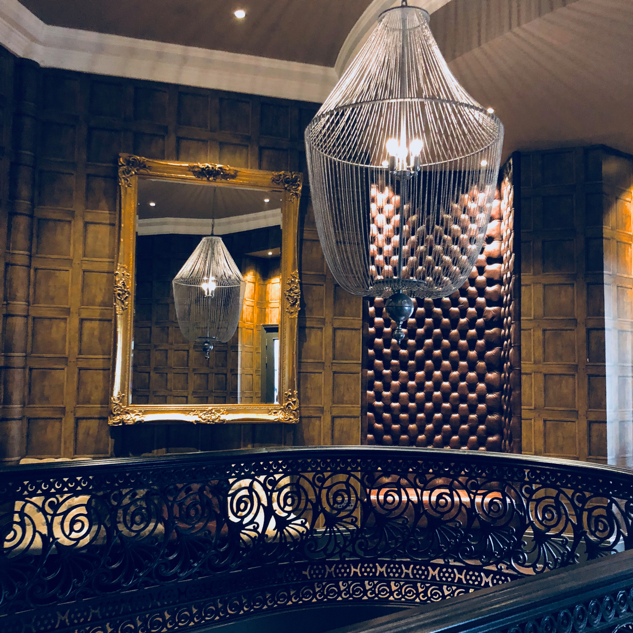 The building started its life as the Mathers Temperance Hotel in 1899 and our room, which was tucked into a dormer on the top floor, is where the Mathers family themselves lived. The hotel eventually changed hands and fell into disrepair in the 1970s and 80s. It was sold to the Malmaison hotel chain which bought it about the time the museum and the waterfront development started to take shape. It is located about one block from the museum and the new developing waterfront area in Dundee. The reception entry was impactful. I love the dark, moody colors and the large-scale wallpaper. The amazing staircase ironwork was revealed when the cement cast moldings were knocked off during renovation. Can you imagine someone covering this up?? The only section of railing that needed to be installed as part of the building restoration was around the center staircase. The cost? A mere 250,000 pounds sterling! Imagine the cost of the entire installation today!! If you look closely you can see the “M” and “H” in the ironwork for “Mathers Hotel”. 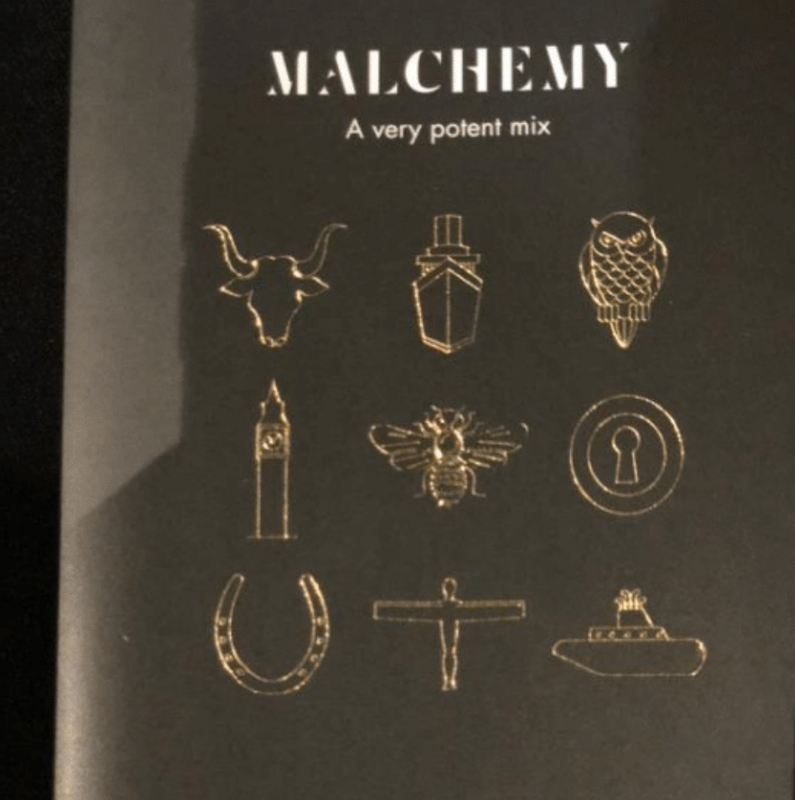 How happy was the Malmaison team when they saw this lucky design branding coincidence! No temperance for us as we enjoyed a glass of wine in the upstairs bar where I took note of the beautiful roman shades. I love when a brand thinks about the details. This hotel group is definitely “design-led”. Truly Mal-velous design!